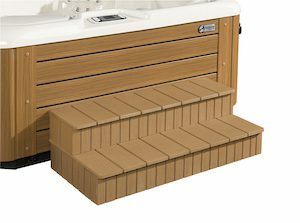 Our swim spa decks are made to fit your one of kind spa. 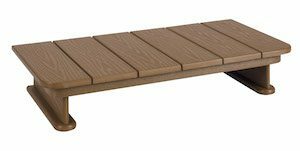 Enjoy a “pool side” view while other enjoy the benefits of this custom-made deck system. 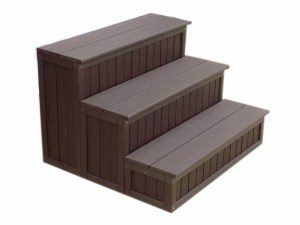 Your spa experience is not complete without beautiful, high-quality hot tub steps. 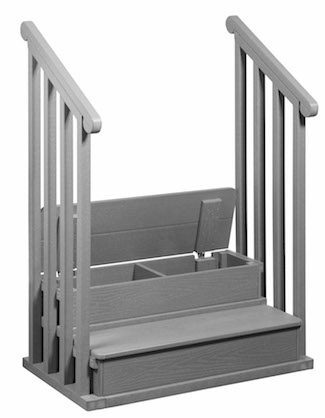 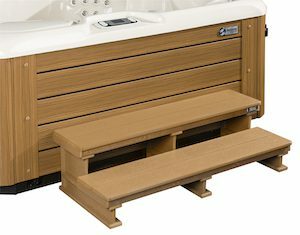 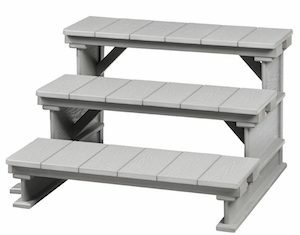 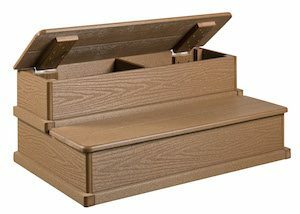 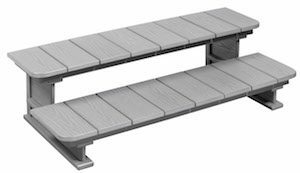 A&B Accessories can provide lovely products, including hot tub steps, that finish off your spa. 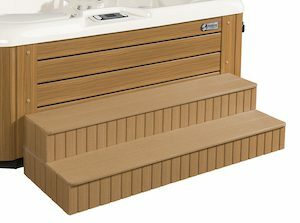 Our vast database of over 150 manufacturers assures a perfect fit to any make and model of hot tub. 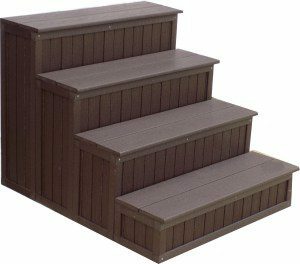 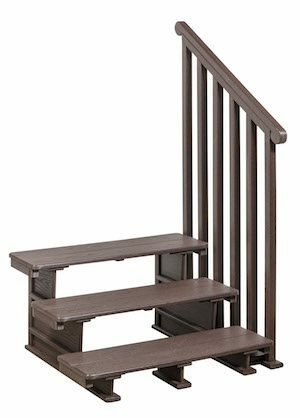 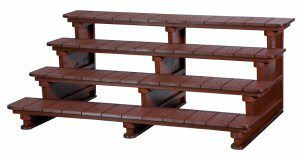 Best of all, our steps are strong, stable, and very durable.